I think we all love the benefits of having a TV in our homes. 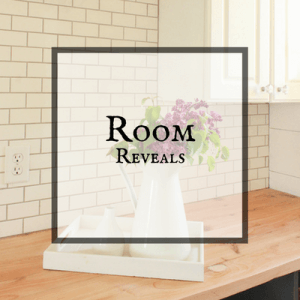 We spend a decent amount of time in front of them, but it’s one of the least decorated spaces in our homes. 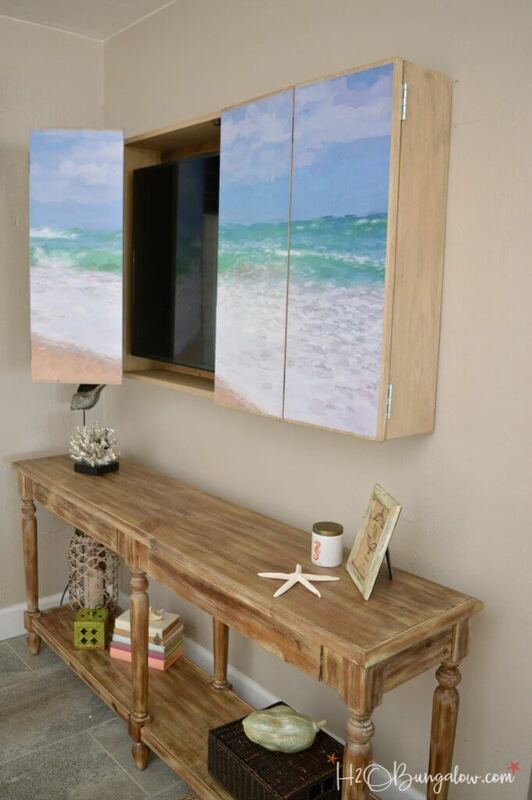 Why not create a beautiful space that you will want to look at even when the TV is off! 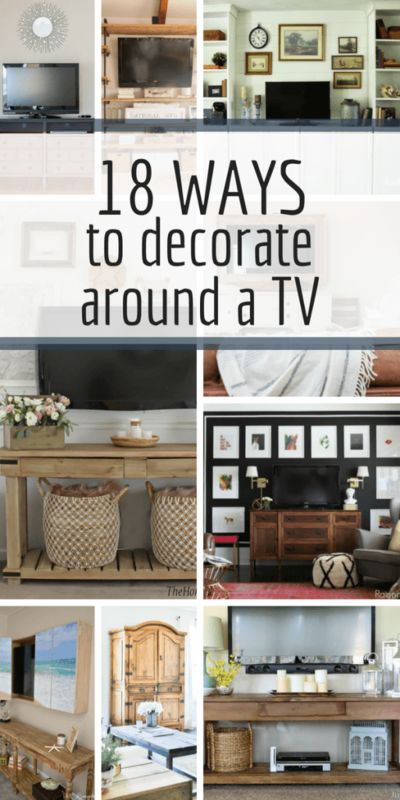 Check out these amazing ways to decorate around a TV! I think that we often ignore the area around our televisions and it can often be a difficult space to decorate. 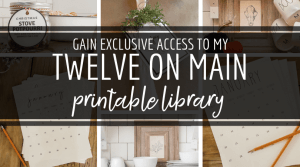 But, there are so many incredibly clever and stylish ways that you can create and awesome space without pulling your hair out or falling victim of just giving up. 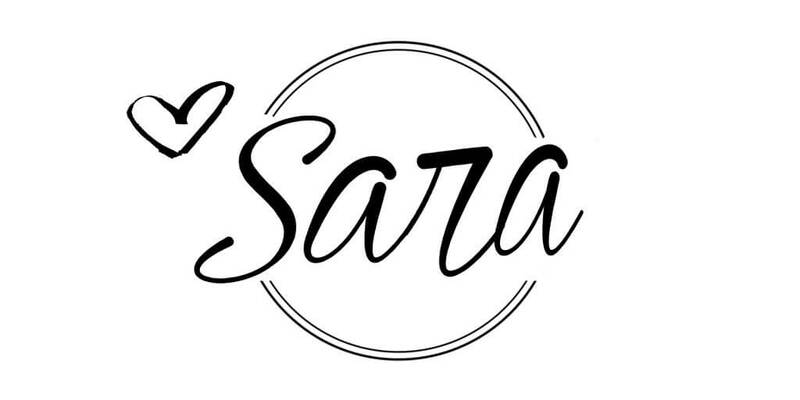 We all know that imitation is the sincerest form of flattery and when you find something you love, design wise, it sometimes just makes it easier to get the look you want when you have some really great ideas. In my home, we admittedly have a few TVs, and they are a bigger part of our days than I care to admit. I do however feel that they should be disguised or enhanced in some way so that they will blend seamlessly into your homes decor. On the main level of our home, we have a living room, kitchen and dining room that all are open to each other. Our TV is visible from all of these rooms and that makes it a big design feature on our home. Nobody wants to see an ugly TV that sticks out like a sore thumb. So, I tried to create a beautiful space that is nice to look at while you are watching the TV, and yet you can enjoy it with the television off too! 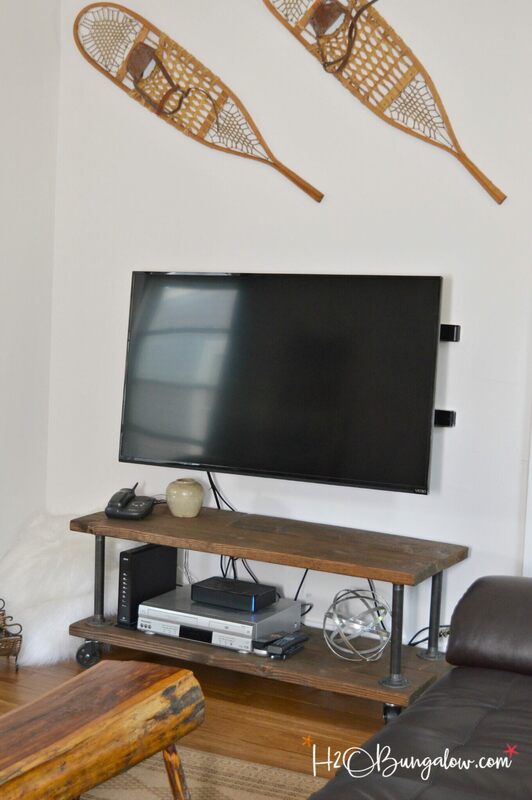 TV frames are a great way to decorate around a TV. We built a frame around our television out of old reclaimed wood, which helps to subdue the intense black technology ridden appearance of the TV. I also softened the space by adding a white dresser/buffet under the television. This allows me a space to decorate and add more soften and texture while framing the TV. You can see how I transformed this buffet HERE. We try to give this same treatment to all the televisions in our home, so that the integrate more organically to the room. The problem is, sometimes it is hard to come up ways to decorate around a TV, and that is why I am writing this post. First off, why not try to hide your TV so it’s not even visible when it’s not on. 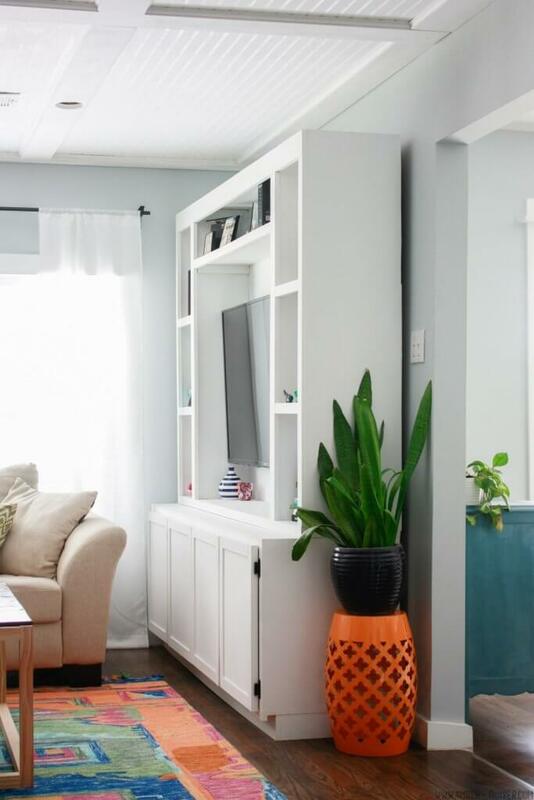 This sliding TV platform by Remodelaholic is a great way to make the television more function and discrete when not in use. Check out their full tutorial as well as other great TV ideas when you click on this one. 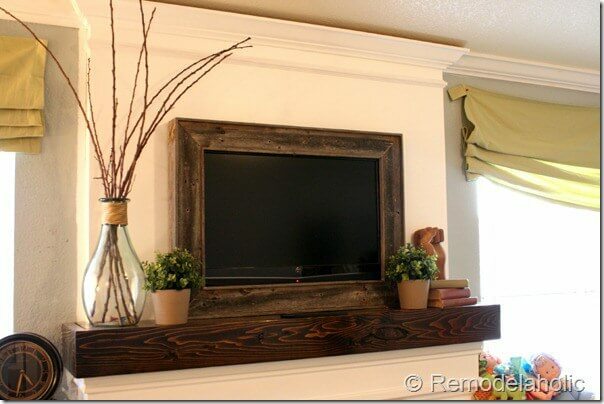 This next one is another great TV frame from Remodelaholic. It is a bit similar to the one we created for our television. I wanted to show how great they can look above a fireplace. This post is so cool. The way they disguised the television was so sneaky and ingenious. It looks so stylish and you wouldn’t even notice that it was hiding a television behind the artwork. This is a great project done by H2O Bungalow. 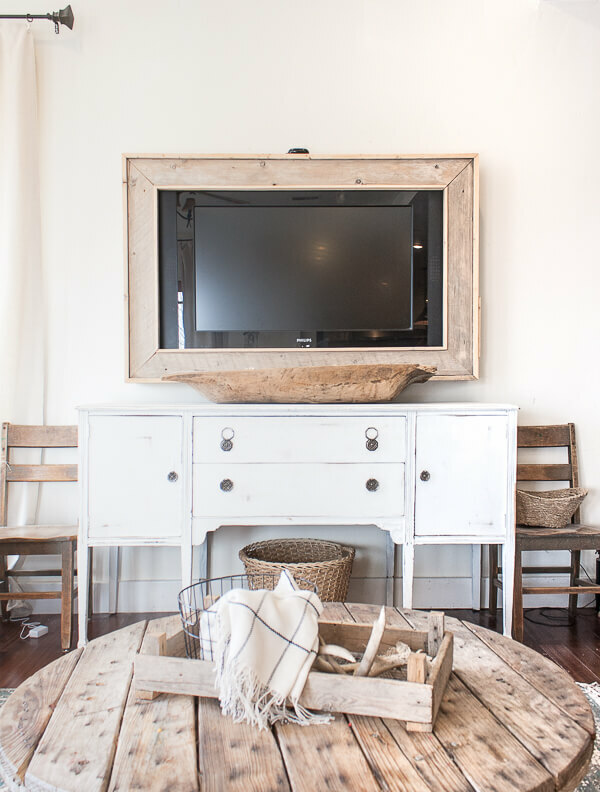 This industrial style TV Stand from H2O Bungalow is a great way to add some interest and style to a television space or entertainment center. Oh my gosh I am obsessed with this look from Tidbits and Twine! I love that dresser with the television and all the lovely accessories including the tobacco baskets. 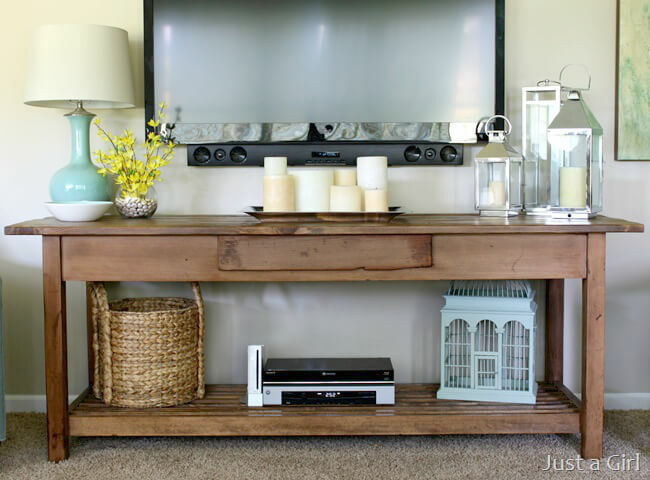 This is truly a wonderful way to accessorize an entertainment center. It’s a wonderful living room TV idea! 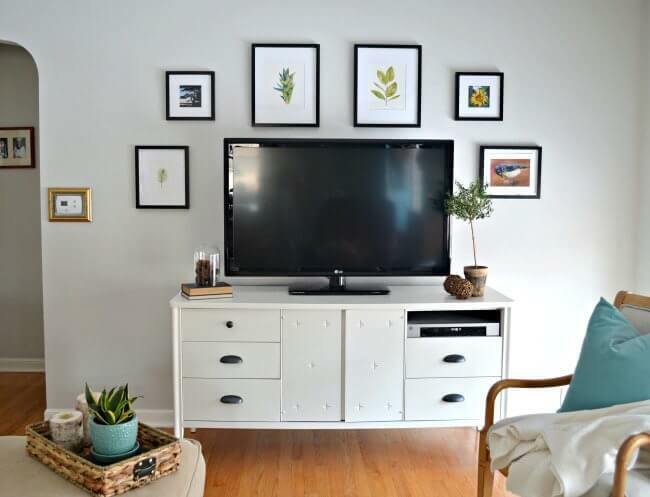 Another great way to accessorize and beautify a TV space is with a gallery wall collection. Using carefully curated pieces, while placing them in a balanced pattern, it draws your eye to the artwork and not the television. I love this look. It’s another great media center idea. 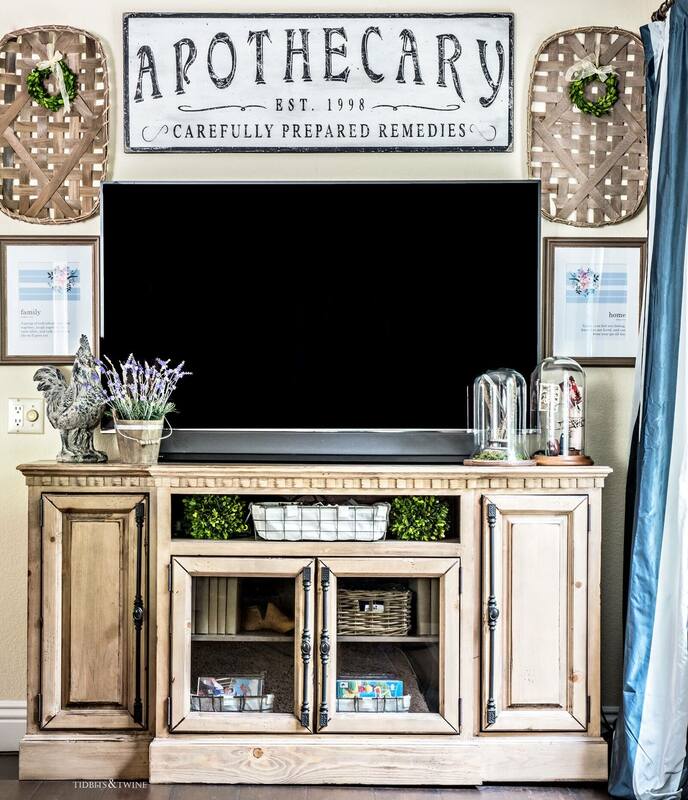 This faux apothecary table is a great focal point for this TV center. I love the color of the apothecary table and there are so many great ways that you could style a piece like this. I love, love, love this living room TV space by The Honeycomb Home. The beautiful gallery wall behind and to the sides of the television. 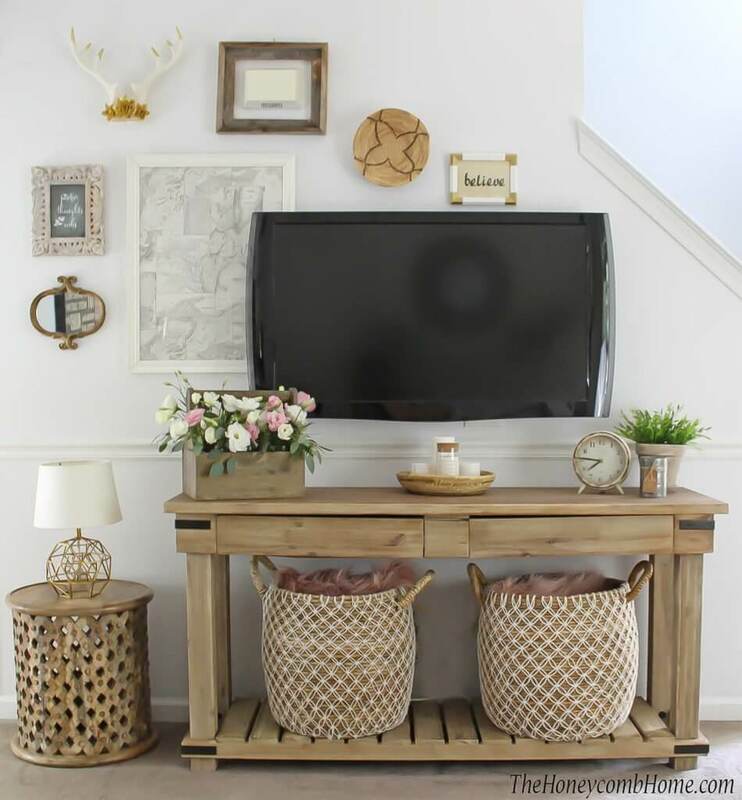 The assortment of different pieces look so amazing together and by hanging some of the pieces slightly behind the TV it breaks up the lines of the TV and adds dimension. Try combining different objects, such as a basket, antlers, and mirrors. They add so much interest to the space. The table is styled so well and the baskets on the bottom soften the lines and balance the space. 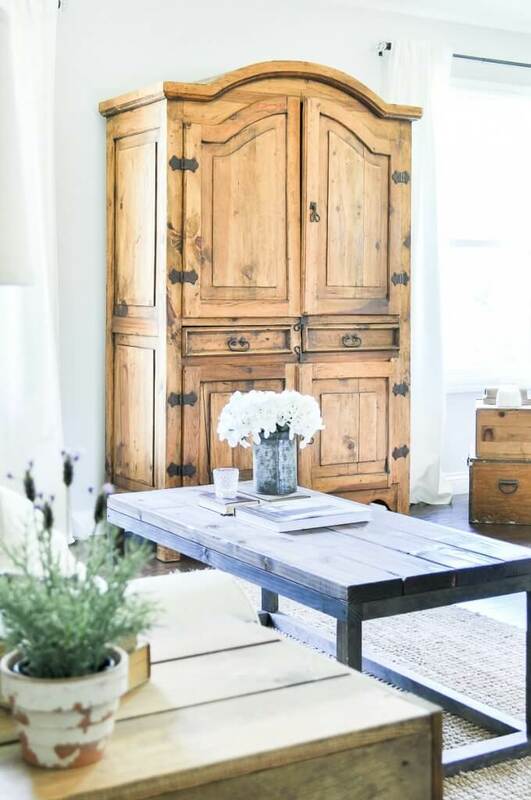 This secondhand armoire in the Little Glass Jar’s home,is the perfect place to hide away that TV. I have an armoire in our bedroom that we have stored our TV, but recently my husband wanted a bigger television and it doesn’t fit in it anymore. I love the idea of using the armoire to hide the television and this can completely eliminate the look of having a TV in the room. This is a great TV idea for a living room, where you might not want to see the TV at all. 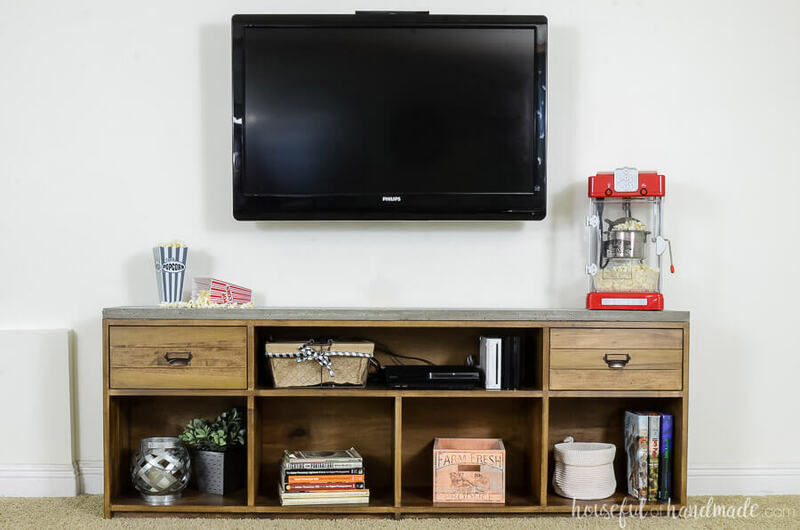 This entertainment center by amber-oliver.com is so awesome! I love that they built it themselves. 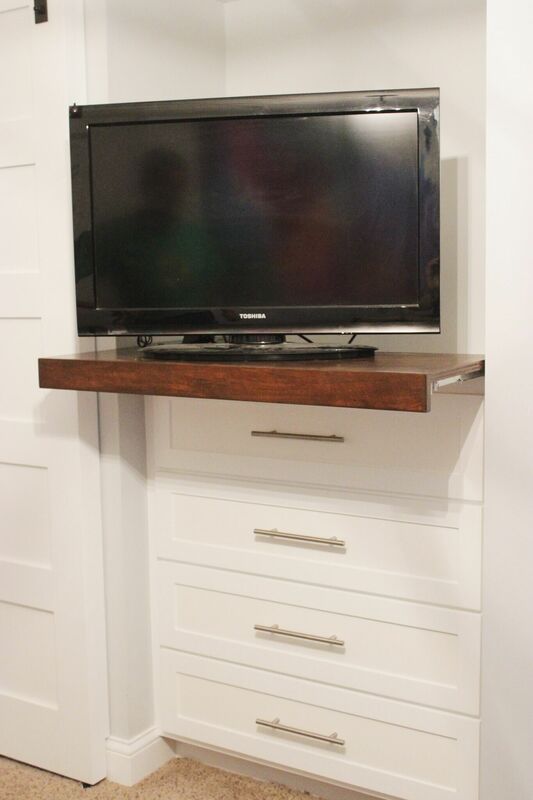 These types of entertainment centers are great for creating a space for televisions. What I love about spaces like this is that you can create vignettes on the different book shelves and create interesting designs. Sometimes they can seem large and overwhelming so make sure to pick an appropriate sized piece of furniture for your space. Another great way to create a focal point in a space with a television is to add some kind of design to the wall. A Turtles Life from Home installed a plank wall in their living room, behind their TV. I love this. Its a great way to add interest to the space without overwhelming it. It also makes the wall more interesting so that the TV loses a bit of its attention. 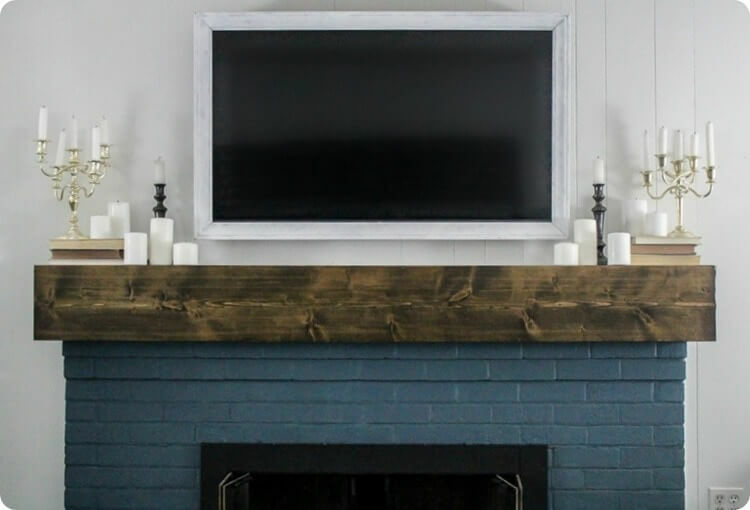 Creating a shiplapped TV wall is definitely a great way to decorate around a TV. 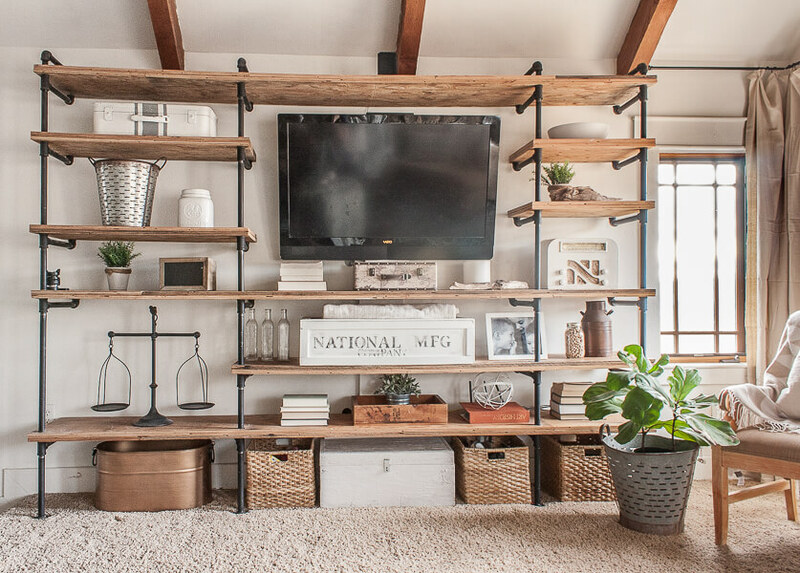 We built these industrial style shelves around our television to create an interesting entertainment center that would draw the focus away from a plain TV on the wall. They were pretty easy to build and we they have been a really fun addition to our living room. You can see how we built them HERE. This TV frame by Lovely Etc. is another great example of how to give your TV a little bit of bling. By framing it out, it makes it look like it belongs in the room as a framed piece of art or a mirror. It softens the edges and allows the whole space to become more cohesive. 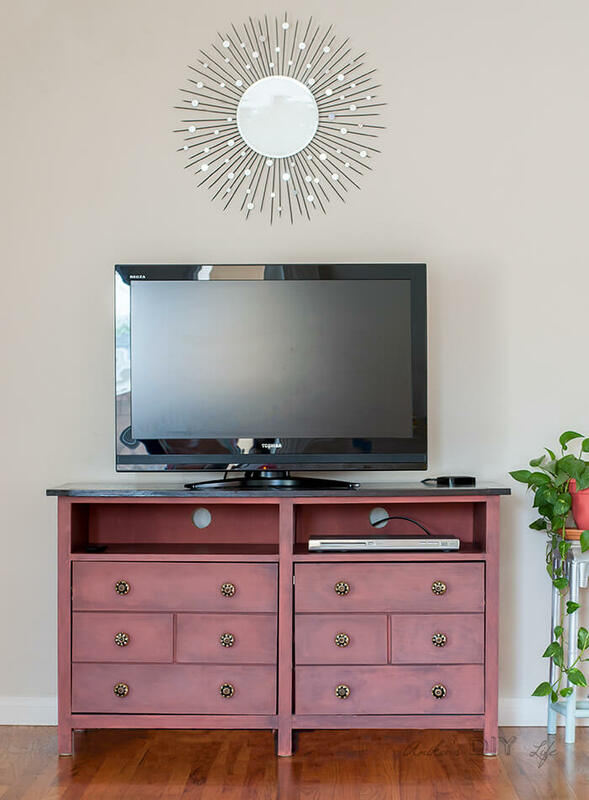 Here is another great example of how you can flex your DIY abilities and create a piece of furniture that has great storage, is beautiful, and helps create a great TV space. My friend at Houseful of Handmade created this concrete countertop and it looks amazing. I love the concrete top and it is a great piece to take the focus away from the TV. This transformation is amazing. I love this black and white gallery wall, by Rain on a Tin Roof. This gallery wall with the television included in it is beautiful. I love the way the television practically disappears into the wall. 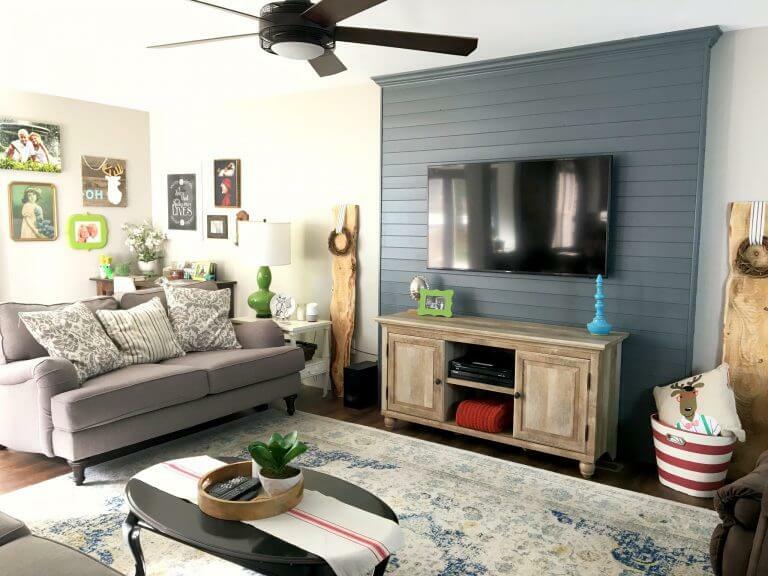 The carefully curated gallery wall creates a beautiful space to enjoy, without the intrusion of the TV. 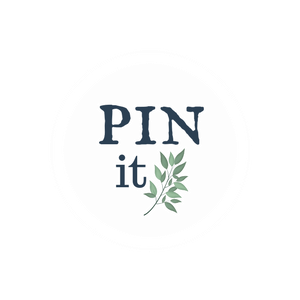 This is a wonderful project by Just a Girl Blog. I love the beautiful wood that this console was made with. The whole project turned out amazing. This is just one more awesome example of how to create a beautiful space with a TV. 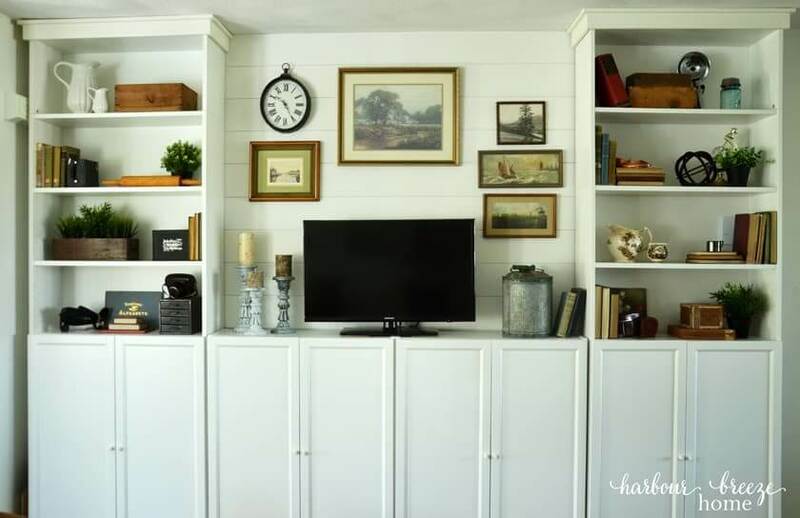 This bookcase transformation by Harbour Breeze Home is a wonderful example of how you can include a television as a focal point in a room. With shelves full of beautiful vignettes, it is easy to create a space that looks amazing and where the TV does not overpower it. I love these book shelves and the way she combined all the design elements together. 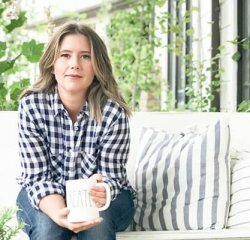 The shiplap on the wall is the icing on the cake. 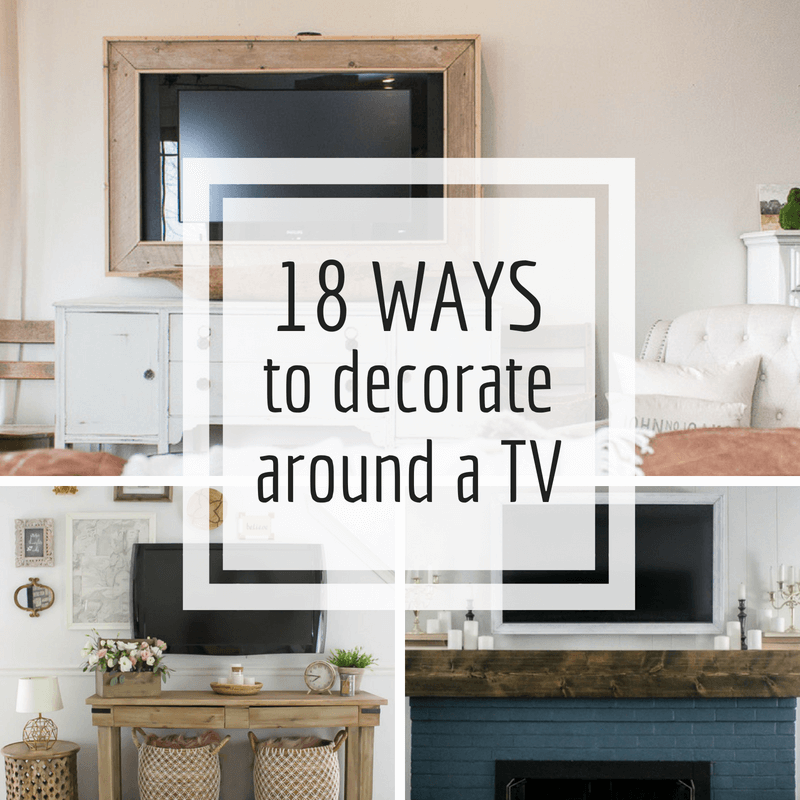 I know that there are so many ways to decorate around a TV and I have just barely scratched the surface but I think I have offered you a pretty great collection that can inspire your own ideas. There is no reason to sit and look at an ugly television when there are so many wonderful ways to transform the way that they look. 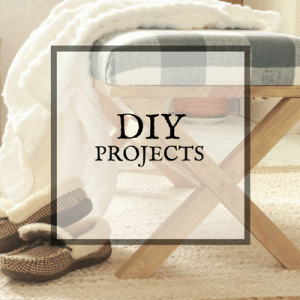 I hope that these ideas gave you some inspiration on ways you can do the same in your home. Make sure you share this with others and save it for later! Thank you for featuring my TV cabinet. There are some great ones featured here!